This is the icon on my iPhone after it is installed. There are options to choose from to set up the app. I left them at the default. Like I said, I need all the help I can get. Then you choose either Flash or Easy to start playing. Until you have played some games the next level is not available to you. Since I played and won some games I get to advance to the Medium level if I want to. Notice the numbers with the green outlines around them. This handy little features helps you to see where those numbers are on the board and where more of those numbers might possibly go. To place a number you first select the space where you want the number to go. See the red outline around the square I have chosen? Then you select the number from the selection at the bottom of your screen. If you are correct, then that number is placed and a green outline appears around it. You can select any number on the grid at any time to see where all of that same number appears. If you like playing Sudoku, (I still do not know how to say it.) you will likely find this app addictive. Not bad for a FREE app. Now then, if you are one of those poor souls who cannot actually watch your local fireworks in person you might enjoy viewing some on your iPhone. Yeah, I was skeptical too. So here is the icon that appears after you install the app. I give you fair warning at this point, each time you open the app it wants you to purchase the upgrade as well as other apps. Once you decline and close that screen the fireworks begins. Really… The sound effects are awesome and so are the fireworks. I took a few screen shots to give you an idea of what they are like. It’s pretty tricky trying to capture fireworks. You realize of course that if you take screen shots you can make them your phone’s wallpaper, right? I also cropped these so you don’t have to see the ads at the top of the screen. This app also has what it refers to as ‘Artist Mode’. That means you can draw on the screen and create your own beautiful fireworks. Personally like watching and hearing the fireworks already supplied in the app. So there you have it. 2 free apps to keep you busy and out of trouble. 🙂 Yeah, I was really speaking to me when I said that. I wish everyone a wonderful and safe July 4th holiday. I've never given Sudoku a try even though I used to see how addicted many of my students would get to it. I guess I just see numbers and think, "Numbers, eek!" Well, I don't even know what Sudoku is so YOU are way ahead of me Cheryl. Happy holiday weekend to you too. Hi Cheryl. I've never played Sodoku, and am not really a games person. But I do love fireworks, and suspect that app would be ideal for shut-ins or for people like military who are stationed where there are none to be found. My wife plays sudoku on her tablet. 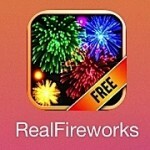 Last year I picked up a fireworks app for my grand daughter. It's a bit simple but great for a baby that only knows to hit the screen. Have never tried Suduko and considering that I don't have an iPhone the app will not make me start. Great idea with a firework app for people who. for some reason, are not able to go and watch. Thanks for these Cheryl. I played Sudoko a lot at one point and became quite addicted, so I'm hesitant to try this, but it's great to know there's a free one. 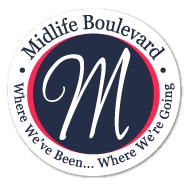 Moderation – always the way isn't it?